I know it's the last day of the month, but I just realized that I never posted a Classic TV Episode this month. So, here it is: A classic episode of The George Burns and Gracie Allen Show, complete with the original commercials! Enjoy! I know The Rolling Stones have been called "The Greatest Rock and Roll Band in the World" but for my money, I think that title should go to Cheap Trick. Don't get me wrong, I love the Stones and I think they are great. But Cheap Trick just oozes Rock And Roll from their pores. No matter what they do, it rocks! I discovered Cheap Trick in the early days of MTV. The first song I ever heard by them was their hit, "She's Tight". It's still one of my all time favorites. In 1983, my Godfather sent me a Walkman as a birthday present. It was one of the originals and it was awesome. I ran out and purchased a slew of cassettes, one of which was Cheap Trick's latest (at the time), Next Position Please. This tape was constantly running in that Walkman and it served as a soundtrack to my life for the next year. To this day, I know every word to every song in their exact order. Since that time, I have purchased the album on vinyl and CD. In fact, it was the second CD I ever purchased (the first being Monkees Live 1967). As with most CD releases in the early days of the format, there wasn't a lot of remastering done. It was basically a thin sounding version of the album. Fans have waited patiently for years to see a better version. In 2006, an awesome sounding CD was released in Japan. Still, nothing here in the states. 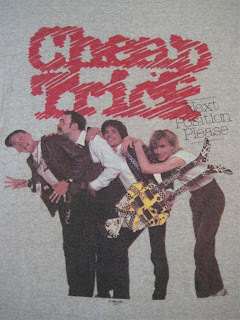 NPP was recently rereleased on a CD alongside another Cheap Trick release, "One On One". (another great album that also features, "She's Tight") However, the sound is the same as the original CD release and the bonus tracks that were once "cassette only" are missing. Luckily, I was able to snag a copy of the Japanese remaster from 2006. I recently listened to it again and just fell in love with it one more time. I present it for you today. Here is Cheap Trick with "Next Position Please". Enjoy! Here is the newest and, in my humble opinion, one of the better podcasts I have made! I really got into this one and tried to cover a lot of bases by including a lot of variety and fun mix-ups! There's some hilarious comedy, great music and a whole lot of fun stuff. The one thing that I really like about this podcast is the introduction. 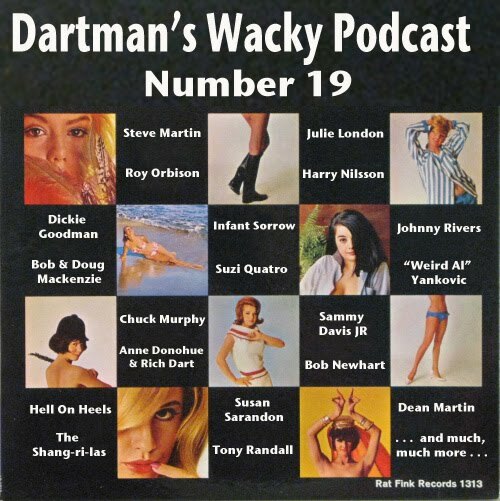 When I was a DJ in college, I hosted a show called "The Rich Dart Wacky Show" and used the same intro for the radio show. Also, I didn't speak in this one. As with the last time, I just couldn't find the time to put any commentary into the mix. It does flow rather well. Hope you think so. Enjoy! Come on now and meet everybody! Here is an issue of the comic book adaptation of "The Partridge Family". Like several episodes of the series and a bunch of the novelizations of the show, this one features the family band driving into a creepy ghost town. Apparently this was a plot line that never got old. It also features a couple of other stories as well as some cool ads for books "written by" David Cassidy and Susan Dey. Enjoy! Tomorrow night I start off a series of several shows playing for the one and only, Micky Dolenz. I am super excited to get back to playing with Micky. We start off with a free concert in Copiague, NY at a place called Tanner Park. If you are in the area come on down to the show and come say Hi afterwards. To celebrate the start of the "Season", I am posting another Monkees item. This time around it's a complete concert from 1989. 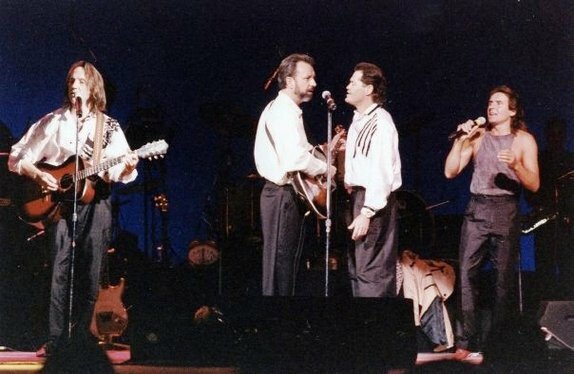 What was special about this concert was it was on July 9, the day the Monkees received their star on the Walk of Fame. The "three-kees" played through half of the show and then were joined by the fourth Monkee, himself, Mike Nesmith. The Mike portions of this show have been circulating for years under the title, "Original Formula". The sound quality of the boot was ok but it was great to have for historical reasons (kind of like Elvis' last concert). However, I recently obtained the complete show from that date and the sound, though not amazingly perfect, is still really good. I present it for you now. Here is "The Monkees - July 9, 1989." Enjoy! Here is the second boxed set of podcasts from the past. This time around it features Podcasts #6 - 10. This is where I really got into doing the podcasts and really found my groove. There are some great moments in these podcasts! I hope you enjoy them. And as I said yesterday, I am about 95% finished with my next podcast which I think is one of the best ones I have done in a while. Entertain yourselves with these past ones and I'll work on getting the new one finished and posted. Enjoy! Since Rapidshare has gone and deleted all but my most recent podcasts, I decided to make all the past podcasts available through mediafire. Rather than post each one separately, I thought I would post them in "boxed sets". That way, it's easier to get the full collection. If there are some you are missing, but don't need all of them, simply download the box sets and then delete the ones you have. It's as easy as that. Here is the first box set. It features Podcasts 1 - 5. You can actually hear them getting better as I was getting a good handle on how to make them. And, as I post this, I am just putting the finishing touches on the next podcast that should be up soon. Until then, here are the first five. Enjoy! 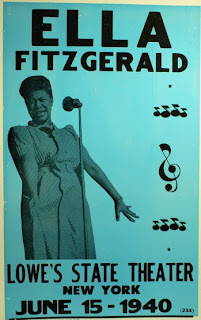 I love Ella Fitzgerald. In my opinion, there was no one better. She was amazing. Over the years I have amassed quite a collection of Ella records. There are the standard ones that you can get anywhere but then I have a bunch or really cool ones that are much harder to find. I'm not just talking about bootlegs. I'm talking about recordings that were made way back when she was just starting out with the Chick Webb Orchestra. I have some really great albums from that era and beyond that I've rarely seen even on-line. It's one of those great albums that I am sharing with you today. It's a release from the great "Sandy Hook" label back in the 80s. I have a vary strong affinity for Sandy Hook records for several reasons. 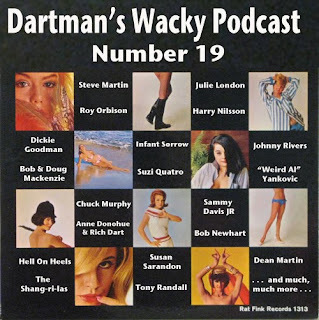 One; they were based in my home state of Connecticut and Two; they put out some of the coolest records featuring some amazing radio broadcasts from the golden age of radio. This album is no exception. It's a bunch of radio transcriptions from 1940 of Ella leading the Chick Webb orchestra. When Chick died in 1939, Ella took over the orchestra and continued to front it for many years. She had taken over as the leader when Chick started to become ill so the orchestra knew that it was the right choice. This album is extremely cool and shows Ella doing what she does best. Here is "Ella Swingin': NBC Radio 1940 Big Band Remotes". Enjoy!